I had the sincere pleasure of joining the great John Knefel - investigative reporter, Occupy gadabout, and broadcaster extraordinaire - on today's episode of Radio Dispatch, the stellar progressive daily podcast. John and I spoke about the ongoing multilateral negotiations over the Iranian nuclear program, the constant barrage of disinformation and sabre-rattling from Israel, and the AIPAC push for new sanctions on Iran that would inevitably (and deliberately) scuttle the talks. You know, the usj. The interview begins at about 10:17 and runs roughly 22 minutes. 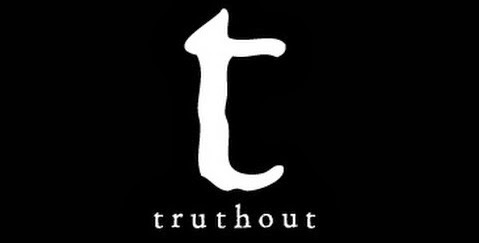 The following article was co-authored with Tyler Cullis and originally published at Truthout.org. February 2014 marks the 35th anniversary of the Iranian Revolution - an epochal event whose ultimate significance remains unknown. Regarded as the "last great revolution," one that overturned Iran's political, economic, social and cultural order, Iranians will endlessly assess and debate its aftermath, up to and including the clerical rule that soon followed in its wake. Yet, few will regret the revolution itself. Even among those who most vigorously dissent from the Islamic Republic's rule, the revolution remains a source of intense pride - a living testament to the will and determination of a people to break the chains and assert their independence. In the United States, however, the Iranian Revolution has much different meaning. It signifies, first and foremost, the fall of arguably the U.S.’s closest ally in the Middle East — Mohammad Reza Pahlavi, the Shah — and the advent of an assertive and revisionist state — the Islamic Republic of Iran — which had little regard for maintaining America’s privileges in the region. Far from sympathizing with Iranians’ yearning to cast off the yoke of dictatorship, the United States saw in the revolution little more than a baffling, chaotic outburst of religious fanaticism — made all the more threatening several months later when revolutionary students seized the American embassy in Tehran following the deposed Shah’s admittance to the United States for medical treatment. For the past three and half decades, these events - and the political and media reaction to them - have catalyzed Americans' perception of Iran, its government and its people. Describing media coverage of Iran at the time of the hostage crisis, the late Edward Said perceptively noted, "Clichés, caricatures, ignorance, unqualified ethnocentrism and inaccuracy were inordinately evident ... with the result that the distinctive continuities and discontinuities of Iranian revolutionary life never emerged." For example, The New York Times' reporting, according to Said, formed "a collection of attitudes displayed for the benefit of suspicious and frightened readers." In other words, those in the United States saw events in Iran in 1979 through their own distinctive prism, which was far removed from - and often quite antagonistic to - the very real aspirations and grievances of a revolutionary people. It would be hard to argue that much has changed in the interim: 35 years of demonization, distrust and denial have shaped US discourse regarding the revolution and its heir, the Islamic Republic. Consequently an honest and dispassionate assessment of the revolution's myriad and measurable achievements has proven elusive, if not altogether impossible. Meanwhile, exposition of its shortcomings and unforeseeable consequences (like Iraq's invasion in 1980) has been routinized to the point of exaggeration and exploitation. Even now, as we pass the revolution's anniversary, the US press privileges and amplifies those Iranian voices that reflect back what Americans have been led to believe about Iran and its revolution. They speak contemptuously of the 1979 upheaval, either regretting its very occurrence or bemoaning the lowly place it has brought Iran in the global order. For the most part, too, their claims are allowed to pass without challenge or substantiation - the prevailing narrative beating out once more the inconvenience of historical fact. Fair appraisal, it seems, proves as rare in 2014 as it was in 1979. Two recent cases underscore this phenomenon. In October 2013, Afshin Molavi, a fellow at the New America Foundation and Johns Hopkins' Foreign Policy Initiative, declared that, while Iran's revolution "reordered regional and global geopolitics, and spawned hope, inspiration, joy, terror, destruction, despair and disenchantment .. [t]he one thing it didn't do was improve people's living standards." "Ayatollah Khomeini promised his followers free electricity and cash from oil revenues. ... Now, poverty, unemployment, inflation and a high cost of living are all what most people, I've spoken to, believe the revolution has brought them." For both authors, the Iranian revolution - despite whatever promises it may have held - has left Iranians despondent and desperate, worse off than where they started in 1979. But this tale, tall as it is, confounds fact and fiction, ignores historical data on Iranians' living standards, and thus rewrites history. Furthermore, perpetually casting the revolution as merely a backward embrace of medieval theology and a stubborn rejection of modernization and development does a great disservice to the reality (and messiness) of the Islamic Republic and forces us to question the ultimate integrity of the writers themselves. It doesn't take long, for instance, to undermine Molavi's claim that the Iranian revolution failed to "improve people's living standards," nor Entekhabifard's contention that the Islamic Republic "setback development." 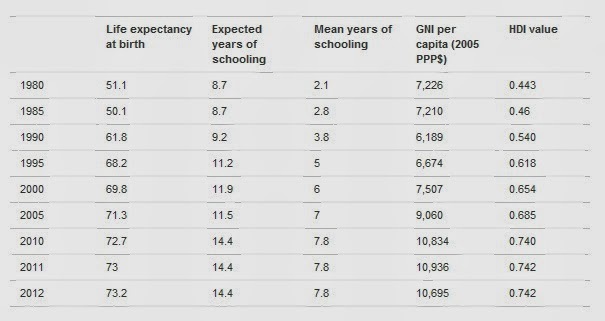 In its 2013 report, for instance, the United Nations Development Programme (UNDP), which measures long-term societal progress in human development around the world, assessed that - with regard to life expectancy, health, education and living standards - "Iran has made considerable progress in human development when measured over the past 32 years." It did this while under constant economic siege and military threat. 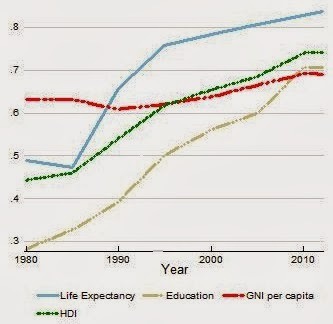 Not only is the Islamic Republic of Iran considered a location of "High Human Development," according to the UN's Human Development Index (HDI), but "between the years 1980 and 2012, Iran's HDI value increased by 67 per cent," virtually doubling the annual gains of other countries in the same category and more than twice the global average. The UN notes that "from a human development standpoint - during the period 1980-2012, Iran's policy interventions were both significant and appropriate to produce improvements in human development." In other words, Iran's gains are not haphazard luck but, rather, a direct result of specific policies of the Islamic Republic. "Despite increased spending, the housing shortage remained unalleviated for the working classes and the poor. Part of the reason was that most government investments financed the construction of military and "national" buildings." "Whereas 80 percent of the city budget was allocated to provide services for the wealthy inhabitants of northern Tehran, shantytowns lacked running water, electricity, public transportation, garbage collection, health care, education, and other services. The contrast between urban shantytowns and rich high rises was an embarrassment to a regime that had promised the advent of a 'great Civilization.' As shantytowns proliferated, the government declared them illegal. Eventually, in mid-1977, the government sent bulldozers to demolish a number of shantytowns in large cities, including Tehran." Outside of Tehran and other major cities, the situation was even worse. In the rural provinces, basic services proved absent, literacy rates remained at appalling lows, health care was largely unavailable, and schooling for children was dismal. As Ervand Abrahamian noted in his magisterial study, Iran Between Two Revolutions, an International Labor Office report dated from 1972 called Iran "one of the most inegalitarian societies in the world." Whatever his intentions, then, Iran's self-styled Ataturk proved himself remarkably incapable of, or simply disinterested in, meeting the needs and demands of his people. On the other hand, the Islamic Republic managed to pull together one of the most impressive rural development schemes in modern history, despite being under savage attack by Western-backed Iraqi forces and economic assault from the world's leading power. In doing so, too, the Islamic Republic triggered a profound cultural revolution that enlisted women in the fight to remake society from the ground up and thus undermined the tethers that had for so long tied them to their religious families – a fact that scholars of Iran's gender politics are beginning to uncover. We see its effects when we look at the hard data. In the two decades between 1984 and 2004, the poorest 25 percent in rural areas saw their access to basic electricity increase from 37 percent to 94 percent and to piped water from 31 percent to 79 percent, highlighting the substantially increased access to basic services for Iran's rural poor. Improvements in health care are similarly impressive. 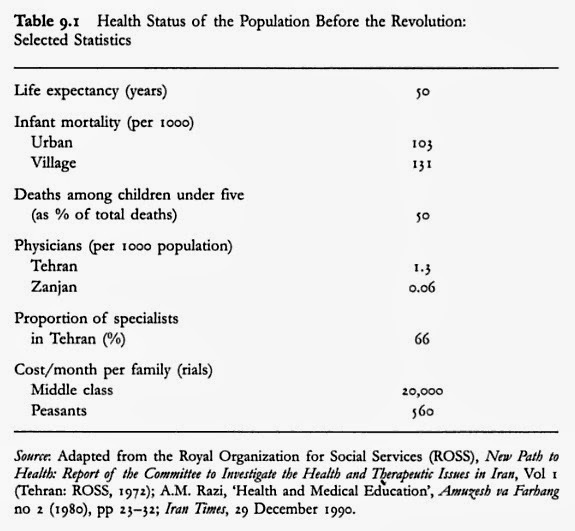 During the shah's reign, access to health care was deplorable, with rural populations suffering the most. In addition to a dearth of both hospitals and doctors, Parsa reveals that "infant mortality in rural areas was 120 (per 1,000 live births), one of the highest in the world. ... Malnutrition was prevalent in many parts of the country, and anemia was almost universal." "The real problem," Parsa concludes, "was the regime's failure to commit sufficient resources to meet society's needs. Instead, resources were spent, or rather wasted, on military buildup" - a fact overlooked in the hype and hysteria over the Islamic Republic's meager outlays to its military apparatus. "Poliomyelitis has been reduced to the point of near-eradication and the coverage of immunization for children and pregnant women is very extensive," reports UNICEF. "Access to safe drinking water has been provided for over 90% of Iran's rural and urban population. More than 80% of the population has access to sanitary facilities." More than 85 percent of Iran's rural and vulnerable populations now have free access to primary health care services through an impressive system of "health houses," which have been described by the World Health Organization as an "incredible masterpiece" and replicated for disadvantaged communities in the Mississippi Delta region. While commentators - such as Entekhabifard - are quick to point out that Iran still experiences a wide rural-urban gap in income inequality, they fail to note, as economy expert Djavad Salehi-Isfahani has, that since the end of the Iran-Iraq War, "poverty has declined steadily to an enviable level for middle-income developing countries." Iran's literacy programs also have proven a boon. In 1975, 68 percent of all Iranian adults were illiterate; only 35 percent of women were literate; and literacy rates in Iran's poorest provinces typically hovered around 25 percent. Today, however, literacy is practically universal, thanks to the extensive literacy programs put in place soon after the revolution (none more significant than the Literacy Mobilization Organization, which was an outgrowth of the efforts of leftist students in the period 1979-81). Women and the rural poor shared these gains. 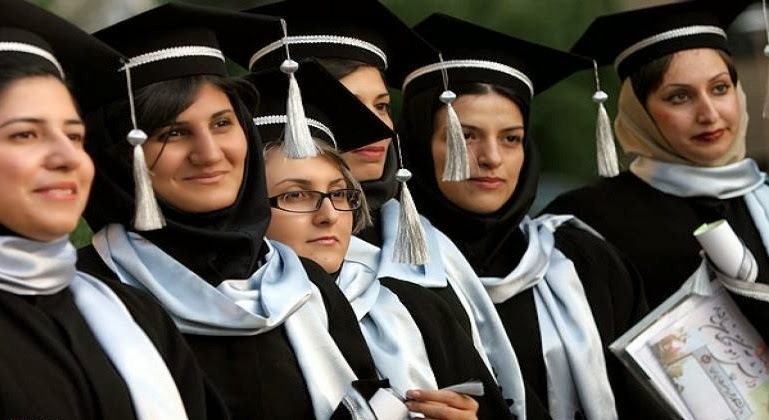 That is why, for instance, over 60% of college and university students today in Iran are women, many of them studying in the arts and sciences. Claims that the Iranian Revolution marked an ideological rejection of modernization are even more difficult to substantiate considering that, as the New Scientist reported in 2010, "scientific output has grown 11 times faster in Iran than the world average, faster than any other country." Moreover, scientific "publications in nuclear engineering grew 250 times faster than the world average - although medical and agricultural research also increased." Iranian scientists led the Middle East in published, peer-reviewed articles in 2013. 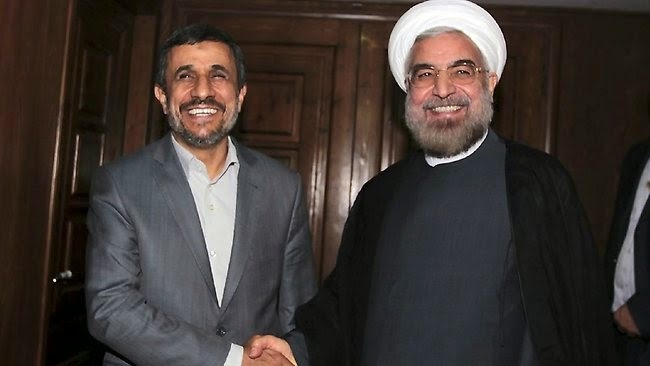 And, far from being an illiterate and backward ruling elite, Iran's leaders tend, on the whole, to be highly educated: that Iran's Cabinet employs more American Ph.D.s than Barack Obama's White House made for a "fun fact" not long ago. Acknowledging these basic facts (of which there are many more) does not, by any means, condone the very real repression that exists in the Islamic Republic, nor the tension in values inherent in the Islamic Republic’s very name. It is perfectly true that Iranians face severe limitations on their ability to vigorously engage in political, social, and cultural life; that, despite the rise in women’s health and education standards, gender inequities remain firmly rooted in the Islamic Republic and only a further transformation in cultural values can replace the deep patriarchy and misogyny that underpins much of the leadership’s attitude towards women; that access to information in Iran is restricted due to government censorship; and that upholding human rights and abandoning the judiciary’s reliance on capital punishment remains critical to improving the Islamic Republic’s reputation both at home and around the world. But, fictionalized representations of the Islamic Republic perform no service to Iranians, who struggle for a more just and equitable public space in their beloved country, and disrespects those who, after deposing a puppet dictator, set about improving the lives of their fellow citizens. In fact, as discerning scholars have noted, much of the recent activism in Iran - including the Green Movement - is thanks to a broadened middle class, "whose empowerment stems from the developmental push of the Islamic Republic over the past two decades." In other words, the growth of Iran's reform movement can be traced back "in part [to] the modernizing efforts of the post-revolutionary state itself." That is not an analysis that is heard all too much in popular discourse about Iran. Nima Shirazi is editor of the Iran, Iraq and Turkey pages for the online magazine Muftah and publishes foreign policy analysis at WideAsleepinAmerica.com. Tyler Cullis is a recent graduate of the Boston University School of Law and has been featured at CNN's Global Public Square, LobeLog and Muftah. I had the pleasure of joining Rania Khalek and Kevin Gosztola, two truly amazing reporters, this week for a chat about Iran, Israel and all that fun stuff on the fifth episode of their new podcast, Unauthorized Disclosure. Rania Khalek is an independent journalist covering disadvantaged, marginalized and vulnerable communities. Her incredible work can be found at her blog, Dispatches from the Underclass and in outlets such as The Nation, Electronic Intifada, Al Jazeera America, Truthout, Salon, Extra!, and AlterNet. Kevin Gosztola is a staff writer for Firedoglake.com, and regularly covers WikiLeaks, whistleblowing, secrecy and various issues created by the U.S national security/surveillance state. He has appeared on Democracy Now!, written for The Nation and Salon, regularly traveled to Fort Meade to cover the court martial of Chelsea Manning and co-authored a book on the Manning case with The Nation's Greg Mitchell. I can't thank them enough for inviting me on their show - they are both inspiring journalists and I'm honored simply to have been able to share some airtime with them. An intensive effort by Israel and its backers has been underway to scuttle an international deal over Iran’s nuclear program. Yet, Israel and its major lobby in the United States, American Israel Public Affairs Committee (AIPAC), has been suffering defeats as it tries to fight a deal, which it does not want because, if the issues over Iran’s nuclear program are resolved, focus will inevitably shift to the country’s treatment of Palestinians. Shirazi writes about this topic all the time and joins Rania Khalek and [me] for this week’s podcast. He highlights AIPAC’s struggle to scuttle this Iran deal. He briefly highlights some of the history of myths around the country’s nuclear program that has served both the interests of the US and Israel. He also addresses the effects of sanctions on the people of Iran. During the discussion portion of the show, Khalek and I discuss the abduction of drone victim, journalist and activist Kareem Khan in Pakistan, Joint Special Operations Command’s use of NSA metadata for drone killings and a Malaysian doctoral student’s placement on the no-fly list and how the Obama administration abused state secrets and secrecy to get away with violating her rights for about a decade. Rania also notes that we all "also briefly discuss the coming retirement of Anti-Defamation League (ADL) head Abe Foxman, or as Nima likes to call him, 'the supreme leader of the ADL.' I hope the ADL listens to this episode because we offer our choices for Foxman replacements." I urge everyone to continue following both Rania and Kevin's work - it is undeniably vital and consistently impressive. A partial transcript of my interview segment is below. You can (and should) listen to the entire podcast here or download it here. RANIA KHALEK, Dispatches from the Underclass: I would like you to give us some insight as to what’s happening with the interim agreement over Iran’s nuclear program. And also, if you could touch on the recent news about AIPAC's [American Israel Public Affairs Committee] massive failure at forcing more sanctions to derail the interim agreement. NIMA SHIRAZI, US foreign policy analyst: Sure. As your listeners probably know, a massive international deal was signed between Iran and six world powers—the five permanent members of the UN Security Council, which are all nuclear weapons states, as well as Germany—signed an interim agreement with Iran over Iran’s nuclear program back in November. Since then, because of that staggering success of diplomacy and a real move away from a lot of the warmongering rhetoric that we have been hearing for pretty much a decade prior to this, it really signaled a shift. And what we’ve since then is this intense effort on the part of Israeli officials, their lobbyist in Washington and the bought and paid for congress members who pretty much do everything AIPAC says. We’ve seen this really intense effort to scuttle this interim deal over Iran’s nuclear program because without that looming bogus threat, Israel is really hamstrung in forcing the United States to do what it wants it to do and the focus then returns to Israel’s violation of Palestinian rights and to the occupation. So without this looming threat of Iran, which now is being decreased day by day due in large part to the way that the United States and other countries in the West are reacting and responding to the new presidential administration of Hassan Rouhani in Iran, we see again this massive push to ruin this agreement by levying more sanctions on Iran, which would effectively ruin the entire deal as stated. IF any sanctions are put on Iran, the deal is off, diplomacy stops again and all the agreements up until this point are null and void. So there’s this huge push toward doing this and what we’ve seen in the past few months and more intensively in the past few weeks is this huge failure on the part of AIPAC to actually get not only a veto-proof majority in the Senate to back these new sanctions, but at this point the bill will not even be put to the floor of the Senate. Harry Reid has completely backed off of this. We thought for a while that he was going to put this forward at the behest of AIPAC, who pretty much wrote the bill. It has leading champions in the Senate from Chuck Schumer to Bob Menendez to Mark Kirk, all these really gung-ho AIPAC shills. And even with that, the veto-proof majority never wound up happening in the Senate. And, more recently, just this past week, we heard that this bill will not reach the floor, there will be no vote. Effectively this threat of new sanctions is over, at least for now. Obviously that doesn’t mean AIPAC is going away. They’re going to regroup and try again. But for now it’s really good news and really surprising news especially to people like us who follow this stuff and the machinations of AIPAC and their people in Congress quite closely. Maybe this is too optimistic, but it serves as kind of the third major defeat – the Iran failure is certainly the biggest we’ve seen to date—but it’s kind of the third defeat of AIPAC in the past year I’d say starting with the failure to scuttle the approval of Chuck Hagel as Secretary of Defense. They worked really hard on that. They worked really hard on getting Obama to bomb Syria. That wound up not happening after a massive public outcry and namely the British parliament refusing to go along with that. And now Iran. Obviously, this isn’t going away. AIPAC is here to stay at least for now. But this is a major, major defeat and I think things are moving in a certain positive way. KEVIN GOSZTOLA, Firedoglake: Nima, to how we got here, I’m really interested in hearing your thoughts on what I consider to be this charade between Israel and the US and how this hysteria and everything we believe about Iran has just basically been fueled by the releasing of information from official, anonymous sources pumping out propaganda or completely false information about the country—and any examples you would share to that. GOSZTOLA: That’s actually how I came up with my question. SHIRAZI: Oh, well there you have it. Gareth Porter is a fantastic investigative journalist. He works for IPS. He publishes all over the place and he’s been doing this stuff for decades. And he has basically compiled in one very very accessible volume pretty much most if not all of the major propaganda points and debunks them all regarding Iran’s nuclear program. What we’ve seen over the past basically 30 years of US and Israeli policy, pretending that this is a looming threat, pretending that Iran is just around the corner from either having the capability to build a nuclear bomb if not having a deliverable nuclear bomb. This has been going on for 30 years. I write about out this all the time. What we’ve seen is effectively this game that is played. It winds up being very very serious because the implications are millions of people’s lives. But its this game where Iran is cast as this insane irrational genocidal suicidal martyred state that basically is so hell bent on getting nuclear weapons that they will lie, cheat and steal to do this and they must be stopped at all costs by the good guys. But the facts are completely anathema to this. They do not track these propaganda points at all. Iran is an original signatory to the Nuclear Non-Proliferation Treaty. All of their nuclear sites and all of their nuclear material is safe-guarded and internationally inspected and monitored. KHALEK: And Israel’s is not, right? SHIRAZI: Right, Israel, which has a massive arsenal of nuclear weapons—I mean one is enough and they have a few hundred—is not safeguarded, never signed on to that treaty and they are not regarded as a proliferation threat, however Iran for some reason is. Basically what Gareth sets up in his book, it’s actually really amazing, is you really see how once the threat of the Soviet Union started to wane a new enemy was needed and the way that you cast an enemy as being supremely dangerous is you pretend that they’re arming themselves with the most dangerous weapons on the planet. So it’s not merely that Iran is a threat to US or Israeli hegemony or ideological stranglehold over the Middle East if not the entire planet, but you say they are actively pursuing weapons that can effectively obliterate the entire world. KHALEK: And they’re really bad at it. SHIRAZI: Exactly. They must be really terrible at it because apparently they’ve been around the corner from having a massive arsenal of nukes for 30 years and still don’t even have a single one and still don’t even want one. So it really doesn’t work in the propaganda’s favor. However, because of the dutiful media here, a lot of people, if not all of us who consume this media, are fed these lies with very little to challenge them or debunk them. Iran has never been found to have diverted any element of its nuclear program to military purposes. There are inspectors and monitors there all the time. For the past decade, four reports a year have come out by the IAEA, which monitors nuclear programs around the world, saying that Iran is fully compliant. Where there have been issues with noncompliance in the past, those are all resolved, although we don’t hear that. 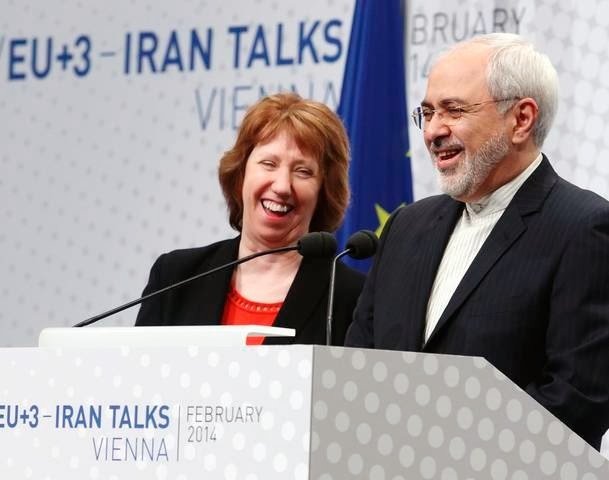 Those have all been resolved not only between Iran and the IAEA but in Iran’s favor. The IAEA, which is responsible for safeguarding all this nuclear material and making sure that there is no weaponization threat, has admitted time and again that what Iran says they were doing they are actually doing, which is not pursuing a nuclear bomb but rather acquiring the technology to have a domestic and indigenous nuclear program, fully functional and mastering the nuclear fuel fight so they don’t have to rely on anyone else. And again, all that we hear is that Iran is hell bent on nukes that never seem to appear and there’s no evidence for them. SHIRAZI: Exactly, John Kerry actually said that recently. KHALEK: Yeah, there’s always this looming threat. Even though AIPAC was just defeated and had to stand down, there’s still always this looming threat of sanctions from some officials. So I guess could you talk about the negatives that are still taking place and the impact of sanctions on the people of Iran? SHIRAZI: While we hear that no new sanctions will for the time being will be approved or applied to Iran, that doesn’t really touch the 30 plus years of sanctions that have already been levied on that country of over 70 million people, much more intensely in the past decade and even in the past few years under Obama than has been in the past. But what we’ve seen in terms of what these sanctions do is it basically to a large part embargoes Iran and takes Iran out of the international trading community. It can’t access money that is Iran’s money because that stuff is held in escrow, it’s basically held hostage by a foreign countries telling banks to not allow Iran to utilize the money that is Iran’s. What we hear all the time is that sanctions don’t hurt the people they’re only to hurt the government and to change the decision making process of the Iranian government. As a quick aside, the decision making process in the Iranian government has been determined by all US intelligence agencies, as well as Israel’s and European agencies, to not want at this point a nuclear weapon. So if sanctions are supposed to change that calculation, I don’t think that actually makes sense. But I guess that’s the line we’re fed, that Iranian leaders want a bomb and sanctions are supposed to hurt them and hurt the economy and make the Iranian people turn against their government and force them to abandon these ambitions, which everyone knows Iran doesn’t have, but we’re supposed to think they do. However, the reality is that these sanctions really, really hurt Iranians and have been for decades now. We hear all the time that unemployment is very high in Iran, it is. We hear that inflation is very high, it is. Inequality is high. And yet what we don’t hear are the reasons why and it’s not only because of policies by the Iranian government, although that does have to do with it, but it’s that Iran has been effectively made a pariah in the international trading community and in the international economy for so long that they don’t have the jobs to give because no money is flowing into Iran and money flowing out of Iran is very difficult. On the ground, we see these sanctions affecting medical care for Iranians. Cancer patients can’t get treatment because these sanctions block medical care. People who are in favor of sanctions would argue, well there are workarounds and you can have approvals and authorizations done, you just have go through the red tape to do it. But pretty much all trading partners and banks and institutions that facilitate this kind of trade are so worried about the backlash from the United States that says they will prosecute anyone that breaks the sanctions laws, that basically all of these companies and all of these entities effectively treat Iran as if they don’t want anything to do with it. So even though in certain cases treatment or medicine could get through, the effect of the sanctions is that it makes it virtually impossible for that to happen because they’ve scared the entire world into abandoning Iran. KHALEK: There’s one thing I do want to ask you about in terms of the sanctions and in connection to AIPAC losing. It seems like it would behoove United States Empire to actually be on better terms with Iran, especially with the way things are in the Middle East right now. And it seems like with Israel constantly beating the drums of war and the pro-Israel lobby constantly trying to beat the drums for war and sanctions, it seems like that’s something where the US and Israel perhaps don’t see eye to eye. So I guess I’m wondering, who benefits at this point? Who benefits from all the warmongering and fear mongering and treating Iran as a pariah? I’m totally against US Empire, don’t get me wrong. But I don’t see how that benefits US Empire at this point. SHIRAZI: The best thing that could happen in a way for continued US access and privilege and hegemony in the Middle East is to be on really good terms with Iran oddly enough. That would really help. It’s certainly in the United States’ government’s best interest to end this stalemate with Iran. Who it does benefit is Israel because it completely takes the focus off of their own human rights violations and their own violations of international law and their own obligations. And it also really helps the Arab dictatorships in the region that can continue pretending that Iran is a looming hegemonic expansionist threat to their own power and as a result continue getting more and more weaponry to repress their own people from the United States government. So we see a lot of these dictatorships using this Iran threat just like Israel does in order to get more military funding and planes and tanks and training and all of this stuff. Saudi Arabia inks billion dollar deals all the time with the United Sates. Who doesn’t benefit, again, is Iran and the United States. These are two nations that actually have a lot in common, perhaps not governmentally at this point but at least the populations of those two states could easily be on very very very good terms. It’s also, from a frustratingly neoliberal perspective, would be an unbelievable market to open up to the rest of the world. Europe is chomping at the bit to get back into Iran as it was during the dictatorship of the Shah before the revolution. And what we’ve seen in the past couple months are delegations after delegations from European states going to Iran and taking photo ops with the foreign minister, photo ops with business partners, oil executives. France and Italy and Sweden have all recently sent delegations. Even the European Union Parliament keeps sending delegations. This is something that Europe really wants to end. It wants to end having to go along with the United States sanctions and fear mongering about Iran. They really want to end this because the market of Iran, of nearly 80 million people buying products and traveling, really really is something that would be hugely beneficial to Europe. We’re seeing cracks in this 35-year wall of distrust and hostility, which is all very good, but again we’re going to keep seeing this pressure put on the United States Congress—and the president as well—by Israel and its people in Washington. 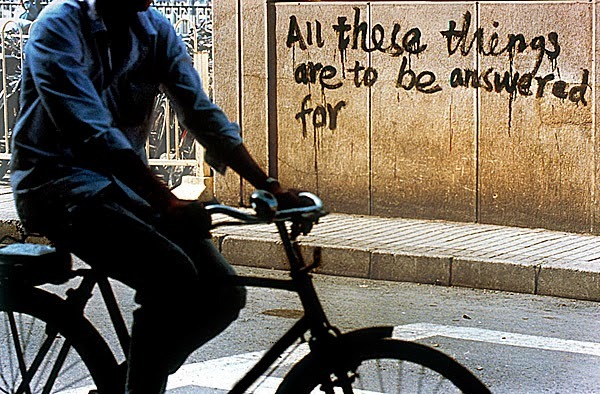 Anti-Shah graffiti in Tehran, Iran, 1979. 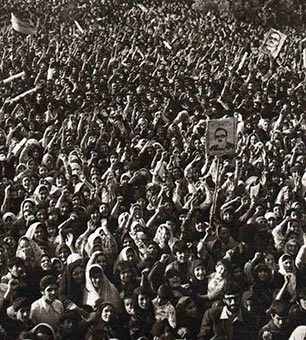 This week marks the 35th anniversary of the Iranian Revolution, the popular uprising that successfully deposed the Shah, Mohammad Reza Pahlavi. The Shah had ruled the country since September 1941, after Britain and the Soviet Union invaded and occupied Iran and forced the abdication of his father, Reza Shah Pahlavi. While myriad commentaries lamenting many of the consequences of the revolution have recently filled opinion pages of mainstream news outlets, very few provide any sort of context for why the Iranian people sought to overthrow the Shah in the first place. Even fewer detail the United States’ own culpability in the Shah’s reign, from planning the 1953 coup that ousted Prime Minister Mohammad Mossadegh to backing the quarter-century of brutal tyranny that followed. The Pahlavi regime’s reliance on the United States as its benefactor and arms dealer was no secret. The Shah’s Organization of Intelligence and National Security, known by its Persian acronym SAVAK, was created in 1957 with the help of American and Israeli intelligence agents and acted as the dictator’s personal secret police force, tasked with suppressing dissent and opposition to the monarchy. As early as 1963, a report from the U.S. National Security Council noted that "it must not be forgotten that the Shah’s greatest single liability may well be his vulnerability to charges by both reactionary and radical opposition elements that he is a foreign puppet." Yet just a year earlier, the President John F. Kennedy, through executive order, created what was known as the Special Group (Counter Insurgency), a senior level advisory board whose task was "to assure unity of effort and the use of all available resources with maximum effectiveness in preventing and resisting subversive insurgency and related forms of indirect aggression in friendly countries." The Special Group (CI) consisted of the president's senior military representative, the attorney general, deputy undersecretary of state for political affairs, deputy secretary of defense, chairman of the Joint Chiefs of Staff, the director of the CIA, the president's special assistant for national security affairs, and the administrator of AID. In one of the group's earliest acts, the Shah of Iran was given $500,000 in riot control equipment in order to allow the expansion of the Iranian capital's local security force "to deal with any likely and foreseeable civil disturbance in Tehran." Between 1970 and 1978, the United States bankrolled the Shah’s massive military buildup, agreeing to sell Iran $20 billion worth of sophisticated and powerful weaponry, including 80 F-14s, 169 Northrop F-5E an F-5F fighter planes, 209 McDonnell-Douglas F-4 Phantom fighter-bombers, 160 General Dynamics F-16 fighters, 202 Bell Ah-IJ Cobra helicopter gunships, 326 troop-transporting helicopters, and 25,000 antitank missiles. At the time, Massachusetts Congressman Gerry E. Studds called the arms transfers “the most rapid buildup of military power under peacetime conditions of any nation in the history of the world” and journalist Michael Klare wrote, “Never…have arms transfer played such a central role in U.S. foreign policy as they did in Iran.” By the time the Shah was overthrown by the Iranian Revolution, the U.S. had already delivered at least $9 billion worth of armaments. As late as 1977, President Jimmy Carter, speaking at a New Years Eve state dinner, called the Shah’s Iran “an island of stability” in an otherwise turbulent Middle East. The American president declared, “This is a great tribute to you, Your Majesty, and to your leadership and to the respect and the admiration and love which your people give to you,”and later claimed, "The cause of human rights is one that also is shared deeply by our people and by the leaders of our two nations." Such commitment to the belief in the Shah’s “stability” and inevitable longevity was evidenced in many U.S. intelligence assessments at the time. For example, as Jeffrey T. Richelson recalls in Wizards of Langley: “A sixty-page CIA study completed in August 1977, Iran in the 1980s, had asserted that ‘there will be no radical change in Iranian political behavior in the near future’ and that ‘the Shah will be an active participant in the Iranian life well into the 1980s.’"
Just as he has done year after year - and most recently a couple weeks ago - U.S. Director of National Intelligence James Clapper has told two Congressional committees that Iran is not building nuclear weapons. Still, the official statement of the American intelligence community continues to be a study in conditional clauses; hypotheticals cloaked in alarmism. We continue to assess that Iran’s overarching strategic goals of enhancing its security, prestige, and regional influence have led it to pursue capabilities to meet its civilian goals and give it the ability to build missile-deliverable nuclear weapons, if it chooses to do so... We do not know if Iran will eventually decide to build nuclear weapons. Of course, acquiring "the ability to build" these weapons is inherent and inseparable from having a domestic uranium enrichment capability and having mastered the fuel cycle, as Iran has, and has nothing to do with any actual intention of assembling a deliverable nuclear bomb. Tehran has made technical progress in a number of areas—including uranium enrichment, nuclear reactors, and ballistic missiles—from which it could draw if it decided to build missile-deliverable nuclear weapons. These technical advancements strengthen our assessment that Iran has the scientific, technical, and industrial capacity to eventually produce nuclear weapons. This makes the central issue its political will to do so. "We judge that Iran would choose a ballistic missile as its preferred method of delivering nuclear weapons, if Iran ever builds these weapons," the statement read for the umpteenth time. If if if if if if if if if if if. Despite the constant flurry of hysterical, evidence-free reporting on the danger of an Iranian program to develop intercontinental ballistic missiles, the facts don't support such fears. A recent Daily Beast article, written by Josh Rogin and Eli Lake, is illustrative. "A new U.S. intelligence report warns North Korea could resume exporting nuclear technology and material," the subheadline screams. "That could spell trouble for U.S. efforts to keep Iran from getting the bomb." North Korea’s export of ballistic missiles and associated materials to several countries, including Iran and Syria, and its assistance to Syria’s construction of a nuclear reactor... illustrate the reach of its proliferation activities. They add that, despite reaffirmation of its commitment "not to transfer nuclear materials, technology, or know-how, North Korea might again export nuclear technology." North Korea’s export of ballistic missiles and associated materials to several countries, including Iran and Syria, and its assistance to Syria’s construction of a nuclear reactor... illustrate the reach of its proliferation activities. Despite the Six-Party Joint Statements issued in 2005 and 2007, in which North Korea reaffirmed its commitment not to transfer nuclear materials, technology, or know-how, we remain alert to the possibility that North Korea might again export nuclear technology. Look familiar? What about 2012? [North Korea's] export of ballistic missiles and associated materials to several countries, including Iran and Syria, and its assistance to Syria—now ended—in the construction of a nuclear reactor... illustrate the reach of the North’s proliferation activities. Despite the October 2007 Six-Party agreement—in which North Korea reaffirmed its commitment not to transfer nuclear materials, technology, or know-how—we remain alert to the possibility that North Korea might again export nuclear technology. North Korea's export of ballistic missiles and associated materials to several countries, including Iran and Syria, and its assistance to Syria in the construction of a nuclear reactor... illustrate the reach of the North’s proliferation activities. Despite the October 2007 Six-Party agreement in which North Korea reaffirmed its commitment not to transfer nuclear materials, technology, or know-how, we remain alert to the possibility that North Korea could again export nuclear technology. The only substantive difference between 2012 and 2011? The word "could" was replaced with the word "might." North Korea’s export of ballistic missiles and associated materials to several countries including Iran and Pakistan, and its assistance to Syria in the construction of a nuclear reactor... illustrate the reach of the North’s proliferation activities. Despite the Six-Party October 3, 2007 Second Phase Actions agreement in which North Korea reaffirmed its commitment not to transfer nuclear materials, technology, or know-how we remain alert to the possibility North Korea could again export nuclear technology. Doesn't seem like much has changed over the past four years, despite Rogin and Lake's breathless "reporting." One need not wonder why. As Gertrude Stein once wrote, albeit in a much different context, "There is no there there." The alarmist fixation on a North Korea-Iran nuclear missile connection is nothing new. Back in 1992, the New York Times reported, "According to Israeli officials, the Iranian [nuclear] program is vigorous, and it includes purchases of Chinese and North Korean missiles capable of hitting targets in Israel, roughly 600 miles away. The Israelis say that the North Korean missiles are the latest in Scuds, and that some have been passed along to Syria..."
Fast forward over twenty years: In testimony before the Senate Armed Services Committee on April 18, 2013, Clapper was asked by Joe Donnelly of Indiana, "With North Korea, what is the extent, in however much you can tell us, the extent of North Korea and Iran’s collaboration on nuclear missile technology?" Clapper's reply? "Not much. The Iranians are a little wary of the North Koreans," he said. Two years ago, Paul Pillar, former CIA National Intelligence Officer for the Near East and South Asia, admitted, "The bottom line is that the intelligence community does not believe [the Iranians] are anywhere close to having an ICBM." And Pillar should know. 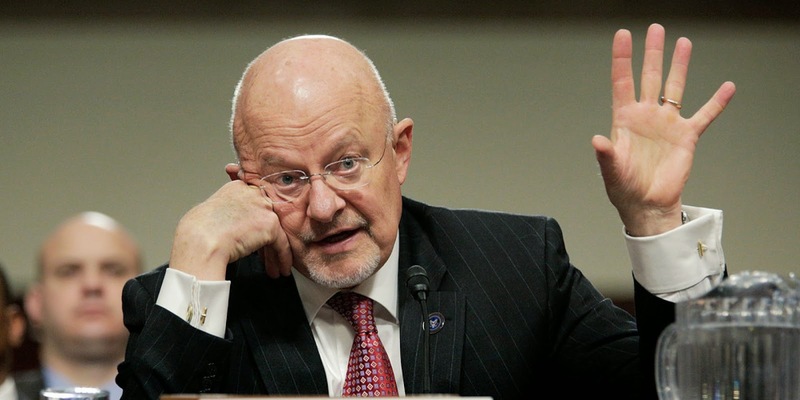 Between 2000 and 2005, he was the CIA's senior analytical officer on the National Intelligence Council and responsible for coordinating and producing precisely the assessments that Clapper is now tasked with presenting. Last July, Greg Thielmann of the Arms Control Association reminded us, "Missile expert Michael Elleman of the International Institute for Strategic Studies has expressed doubts about whether an operational Iranian ICBM is even likely within the current decade." To date, "Iran has never flight-tested a long-range ballistic missile—neither a 5,500 km range ICBM nor a 3,000-5,500 km range intermediate-range ballistic missile (IRBM)," Thielmann wrote. "Moreover, in striking contrast to its active pursuit of short- and medium-range missiles, Iran has never declared or demonstrated an interest in developing longer-range systems." An even more recent analysis by Elleman, produced in November 2013, revealed that "neither the U.S. nor Israel cite evidence that Iran is actively developing or 'building' ICBMs." He also told journalist Gareth Porter, "I've seen no evidence of Iranian ICBM development, let alone a capability." Considering the U.S. intelligence community's assessment regarding the Iranian nuclear program hasn't changed at all in years - and no evidence showing any Iranian intention to militarize its program - it is clear that the bellicose rhetoric and baseless fear-mongering heard constantly from the mouths of Israeli officials, their lobbyists in Washington, fawning puppets in the press, and acolytes in Congress are purely political, exploiting fictitious threats with no connection to reality. The history of Iranian ICBM hysteria is long. Back in 1993, a CIA estimate delivered to Congress claimed that Iran was "10 to 15 years" away from possessing such capability. A 1995 National Intelligence Estimate, drawn from the conclusions of all 16 American intelligence agencies, assessed Iran would have long-range missiles by 2010. Three years later, in 1998, a Republican-sponsored commission on ballistic missiles - chaired by none other than Donald Rumsfeld - concluded that Iran would have ICBMs within the next five years.